One of my favorite iPhone stands is growing up. After a successful Kickstarter campaign last year, 1.0 Innovations is turning once again to crowdfunding for its latest device – the SETA Tablet Stand. Just like the smartphone stand, the larger version uses special NanoSuction technology to grip the tablet. Surprisingly, the technology will even grip around 70 percent of cases on the market. It doesn’t work well with cases made from textured or silicone material. If the stand ever loses its suction technology, simply clean it with clear tape or a damp paper towel. The stand itself is made with aircraft grade aluminum and also features a T-channel design that will easily hold a Lightning cable. Here’s a quick video about the project. Click here if you can’t see it. 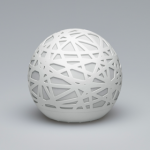 Right now, backers can choose a small or large version of the stand in one of three colors – black, silver, or white. A stand for 7-inch tablets, like the iPad mini, is $49 while a larger version for the full-sized iPad is $54. 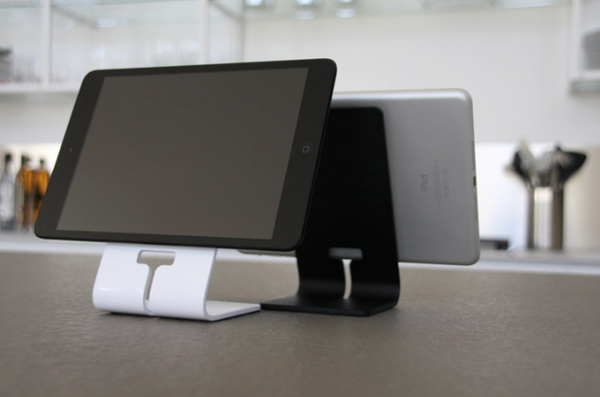 A $65 pledge will net you a tablet and smartphone stand. All rewards are estimated to ship in November. Currently, just hours into the campaign, the tablet stand is well on its way to being funded. If you’re interested in learning more about how the NanoSuction technology works, definitely take a look at our original review of the SETA Smartphone Stand. For other recent Kickstarter accessory news, see: Streamline your entire workspace with the UNITI Stand for iMac, iPhone and iPad, Kickstarted: Sense is a smart, hassle-free sleep tracking solution for iOS, and A new Kickstarter project, Cabin, brings MagSafe-like charging to the iPhone.